Nicely positioned massage clinic in the heart of Haymarket on George Street, just a few doors from the Light Rail towards Central up George Street. Take the lift to Level 1 (or use the discrete entrance Parker Lane). Please call 0426 145 539 for an appointment, or just drop in. 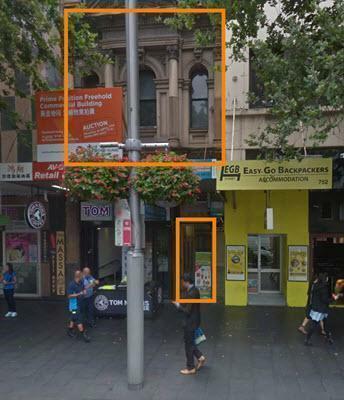 Directions: On east side of George Street just a few doors towards Central from the Hay Street light rail line. Entrance between Tom N Toms cafe and the bright yellow Backpackers. Take lift to 1st Floor. Rear entrance available via Parker Lane (see photo below), follow signs up stairs. Speciality: Relaxation stress relieving oil massage from Korean, Japanese, Thai and Chinese masseuses. 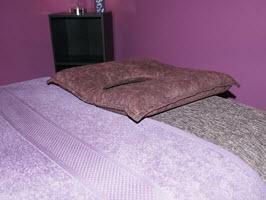 Also offering foot reflexology, cupping and ear candling. Parking: Plenty of parking stations within 2 blocks away in all directions. Public Transport: Bus and Light rail both virtually at door. Premises: Modern, mood lighting, quite spacious. 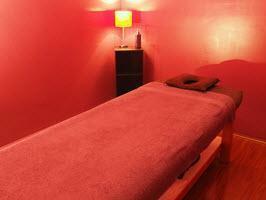 Looking for best relaxation massage near Sydney Central Station, Haymarket, Chinatown, Capital Square, Chippendale? Call 0426 145 539 Now!